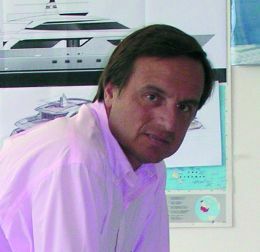 Massimo Perotti has been one of the most talked about personalities of the yachting world over the last two years. After a life time as top manager in Azimut, Perotti has taken on a new challenge at the age of 43. 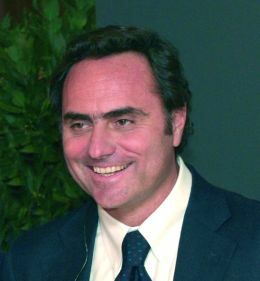 He has "changed hats" and now dons that of a pure entrepreneur, successfully proving to have a considerable knowledge of the international yachting scene and of shipyards in general, by managing to buy one of the most prestigious national brands which has always been considered to be, untouchable: the San Lorenzo. 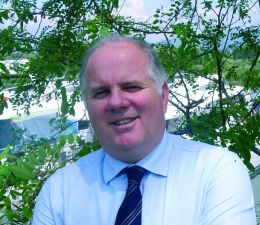 We have tried, through this interview during our visit to Ameglia-upon-Magra, HQ to San Lorenzo since always, to relive the various stages of the intense last two years, naturally focusing on his Yard's business and his strategies for development. Mr Perotti, how did you manage to buy San Lorenzo? San Lorenzo was not on the market of course, but I knew that Mr Iannetti could have been persuaded to let his brand go. The hard fact was that he had never even negotiated with anybody, he had always been very unwilling but above all he had no intention to sell to the large nationally known nautical industry names, nor did he consider capitulating to neither banks nor Funds etc. He often quoted the Riva affair as an example, which, before the Ferretti Group stepped in, had been owned by people who didn't much care nor had the ability to maintain the name high, and whom in fact, practically drove it over the cliff. He steadfastly wished to avoid this scenario ever happening to his company. How did you ever persuade him? He didn't even grant me a meeting at first, he was convinced I was acting on others' behalf. But then, when I explained I was there for myself, that I fully believed in the project he had developed, in the identity he had managed to give his shipyard, and above all, when I assured him that I would never have violated the very soul of San Lorenzo's DNA, things changed point blank. After only 10 minutes into our talk, while I was still putting forward my ideas, Mr Iannetti stood up from his armchair, shook my hand and said: "You have come at the right time!" I had won all his respect both as a business man and as a human being, and that, to me, was a wonderful sign. Did you immediately adapt to this new way of working, that is, making the transaction from the industry you came from, to essentially, a family run business of limited production? No, it wasn't easy. When the agreement was done, it was necessary for me to become operational immediately both to help and to get to know the company. But our attitude was to tread carefully from the word go, not upsetting the balance within the shipyard as Iannetti wanted to hand over to a person who would continue his own "mission" and not cause a revolution. As far as I was concerned, the thing to do was to quickly come to terms with this new reality so distant from my previous experience, and I can tell you that I immediately tried to live the shipyard as closely as possible and to establish a direct relationship with the large family of technicians and labourers who work here. I chose to sleep on board the San Lorenzos at the start of my new adventure during my first few days at Ameglia, so as to better get to know the essence of the yachts, their uniqueness, their feel, and I can tell you that in fact, these motor yachts are truly different to others. The same things as ever. They are custom built boats, truly produced as if they were tailor made, entirely made to measure for each owner. A construction philosophy aimed at a level of excellence which cannot be compared and which is diligently applied to each boat coming out of the shipyard. Perotti's presence at the helm of San Lorenzo does not therefore mean that sooner or later the Yard is going to turn to lots of new models and maybe even mass-production? Last year we presented a business plan going out to 2010, which foresees a substantial growth for us but which is entirely based on keeping our brand united, on what our boats represent in terms of construction, production and market placement within our niche. As a business man I am trying to just implement what San Lorenzo does as is normal, but following strategies which come away from the large numbers perhaps through actions which have if anything extended our selection towards the larger sizes. This way we have gone into the over 24 meter market for semi-displacement composite hulls, and into the large steel hulls, both displacing and planing, of 40 and 50 meters in length. New markets where we didn't have a presence and which represent a natural evolution of things for both San Lorenzo and its owners. Our first large boat to touch water will be the SD 92, which came out of its mould in the first few days of July and which we will introduce in 2007. Remaining in the semi- displacement composite range, the SD 122 will follow for which the mould is about to be completed and which we hope to finish by March 2008. The SD 104, an intermediate build, will come after this and her construction is planned for the two years between 2007/2008 for supply in 2009. Just as we did for the composite displacement hulls, we have taken up an area in Viareggio for the steel hulls where we have already begun building our planing 40 meter in aluminium, the hull of which will be finished by next year and where we are going to start producing our steel 42 meter hull, of the displacing variety this time, with 2008 as a hull finishing date. 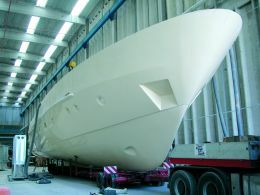 How many boats, between composite and steel, will be produced in Viareggio each year? A couple a year, as you can see, we are at a long stretch from large numbers. 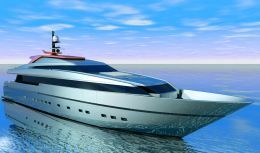 Therefore, only a small increase in production will be attained between the boats built in Viareggio and the few more we build in Ameglia compared to the present, however the value of our new large boats will give our sales figures quite a boost. Our more established shipyards will produce a little more, specifically so the new 62', which took to water this summer and that will be produced six-fold in 2008, nine will be made in 2009, whilst 12 units will be completing our plan in 2010. The SL line has also been renovated, is this also part of the "Perotti cure"? We are more simply, just continuing the updating process started by Iannetti, we're following the plan. When I arrived here, the development of the 82' footer had already started, it was already part of that natural, slow and poignant evolution which our boats undergo, and the whole process had already been started and thought out by Iannetti, as he had in fact done already with our 108' maybe I just moved things along a little bit and the process was completed with the restyling of the 72' which as the 62' and 82' mentioned above, was designed by the Studio Della Role of Viareggio and launched this year as planned. Will smaller boats be part of your future? Absolutely not, larger ones if anything. How much weight does marketing carry in a context such as San Lorenzo's? Marketing and communication are always extremely important, here as elsewhere. 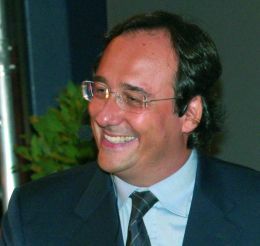 Iannetti, for example, has managed to give the Yard the distinct aura of a "top brand". We produce luxury yachts, as many others do, but ours are truly considered to be unique because they are entirely made to owners' specs. with an eye for detail only typical of the work of skilled artisans, capable of reproducing on board the same feeling of well being that each of us perceive inside our own home. There are also other factors that concur to this accolade, such as the design of our motor yachts, never too evolved, classical if anything, like all boats with no era. Even technology, of which we do make widespread use on our yachts, never plays a leading role nor is it obtrusive on board a San Lorenzo, in short, it does not characterize a given line nor do advertising campaigns or sales strategies hinge upon it. We have had confirmation of all this thanks to a specific market research we conducted at the Genoa Boat show two seasons ago, involving a fair sample of people and including some of our established clients, which gave us fundamental guidelines to follow in order to maintain the above mentioned accolade of "top brand" typical of our Yard. For example, we have had some clear indications in that sense, as to what type of message should be given in future PR and advertising campaigns etc. This aspect therefore plays a leading role. It is vital to communicate the right message: that is why marketing is so important. I don't have to advertise at all costs, also because our yachts are aimed at the type of clientele that doesn't buy a boat because they see it on a magazine, but because they are well aware of the value of a San Lorenzo hull. To the contrary, being little present on the press, somehow "certifies" us as a "top brand", as a shipyard not needing mass exposure. One must therefore choose very carefully, precise communication times and vehicles to be used, because ours, is rather a special product. We are a different company building a different product, and the message that must go across should be based on this prerogative. We will try to communicate a little more, but we will have to be very careful not to blow this niche which Iannetti has built up so skilfully. Our type of client doesn't want razzmatazz, he does not wish to be seen nor to be noticed, he just wishes to have a yacht which is the extension of his home, that would epitomize class when it enters harbour, timeless, and far away from current fashion. Your brand is largely appreciated and has mainly spread nationally. Do you not feel this could be a weak point for San Lorenzo? This was our limit, Iannetti also knew this, but for a series of reasons he was unable to change course. San Lorenzo has always largely depended upon the local market, about 70% was the figure when I took over, and to depend mainly on a single market, is undoubtedly a heavy risk to run for any producing company. If the internal market stops the company stops. What I tried immediately to do therefore, was to go international, working a lot on the market as well as on the yachts. After reaching an agreement with Viking Custom Yacht to take care of San Lorenzo sales in USA and Canada, we are about to open in Antibes the second office aimed abroad in Europe: after "San Lorenzo Balearic Islands" which is in Palma de Majorca, "San Lorenzo C“te d'Azur". They will function as our 'boutiques' abroad, where our client will be greeted in true San Lorenzo style in every respect. Graphics, colours, interiors will always lead back to our brand, easily identifiable but in our style. Staying with foreign markets, we have an agreement with top level dealers both in Mexico and Australia. We will then go by stages opening a new market a year starting with the Middle East, Russia, and the Far East that is still too young in the business to be able to do differently. But should all these markets order more yachts, would you give in to the temptation to produce more? Nothing would happen at all, we won't produce more than planned. We have a precise strategy to follow until 2010 which we will carry out as we are doing, and in any case even after that date we will not change brand policy. Rumours have it however, that you have been contacted in the past by the Marchioness Theodoli, for a possible purchase of the Magnum brand which she owns. I can't deny there have been contacts, but nothing came of it, too many difficulties involved. These were different times, but now we will remain focused on our shipyard, we are about to launch yachts of some relevance which deserve our maximum attention, no mistakes. How does one not get it wrong in these cases? You reduce risk to a minimum, you zero it if you can. First of all you need to be surrounded by very competent people of great experience. The yachts are the result of an efficient team work, where meetings will fine tune technical needs with those of life on board, where layouts, aesthetics, functionality and production aspects are carefully thought out etc. These meetings are attended here by people who are young in terms of dates of birth, but who have 25 to 30 years experience behind them in the business of ship construction, yards and boats. Roberto Zambrini and myself aside, there are two men of great ability namely Marco Viti and Antonio Santella, who know everything about this world, well trained on the technical side of things and therefore qualified to follow a project from the drawing board to production, but also capable in managing sales and client liaison. The heart of the company is then represented by people with ad hoc qualifications for the roles they fill, people who will attend those meetings, together with the designer, who in the case of the Viareggio production is Paszkowski, also of great experience, each giving his own valuable contribution. This they do because they too have been talking boats for the last twenty years, like Beltramone, in Marketing and Communication, Mrs. Fogliuzzi in the Technical Department, Monti, in Purchasing etc. I don't know how many concerns in the business can boast such an experienced management, capable of offering added value to the brand and therefore to its sales. Speaking of sales, what do you think about the nautical industry being present in the Stock Exchange? I think some are approaching the matter somewhat light- heartedly, in my view only groups like Azimut and Ferretti have their house sufficiently in order to go public on the large financial market. To take that route one needs sale figures to go with it and the right management, to be on the market world wide and to offer a well construed line. Apart from those I mentioned I don't think there is anybody else fitting those requisites. Some time ago I was in Barcelona for the boat show, and managers of the Spanish shipyard told me you had joined their Board of Directors. A piece of news which leaked out never to be later confirmed: why? It was an opportunity we took into account together with Manuel Rodriguez Vázquez, president of the Yard, who had the desire to expand his Rodman brand on an international level, because true though it is that Rodman is the number one Spanish brand, but it is also true that its fame was mainly local, as the Yard mainly sold within Spain. Vázquez, is a business man of 63/64 years of age, also of the idea of letting the business go in time, taking a step back from all the responsibilities and stress that his role entails. I had made an initial approach, which he much appreciated, to way up the possibility of joining forces, essentially to offer a close collaboration not dissimilar to the one I had with Iannetti before him. This time it would be linked to a period of 3/5 years which would give us sufficient time to develop the business, making it more international, to then culminate in my ultimate acquisition of the brand. He mainly required somebody to change the design of his boats which was in fact a little jaded, and who would better organise the development of the line as a whole. We started working together for 2/3 months, but then because of my greater duties at San Lorenzo, the distance driven difficulties and his reluctance to accept my advice, we decided to part our ways quite happily and no longer collaborate.